Xamarin Experience is the first live seminar in Portugal entirely focused on Cross-Platform Development using Xamarin as a reference technology. This event will cover topics like how to create native apps for Windows, iOS and Android using Xamarin and Visual Studio. 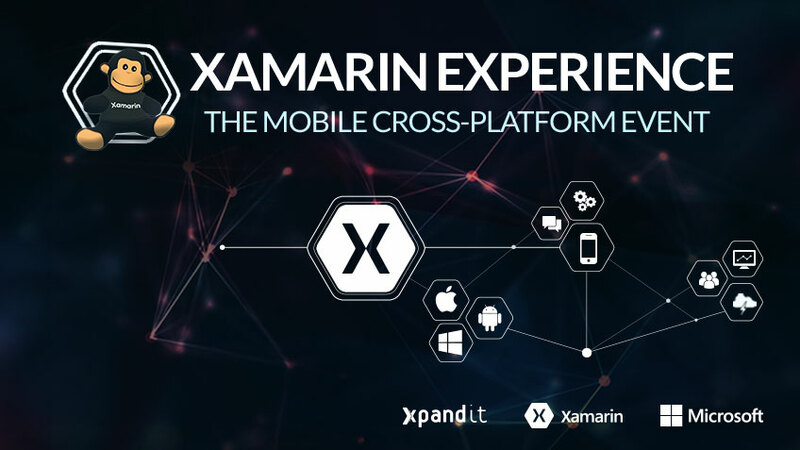 Xpand IT – a global company specialised in Enterprise Mobility, Business Intelligence, Middleware, Big Data and Collaboration & Development Solutions – in partnership with Xamarin and Microsoft announces Xamarin Experience – The Mobile Cross-Platform Event. This seminar is an excellent opportunity to get to know more about how to build native apps for Windows, iOS and Android using Xamarin. The event will take place at Microsoft Lisbon Experience in Lisbon, on 19th February between 09.00 a.m. and 01.00 p.m. Registrations are free but limited and are already available at Xpand IT website. The seminar will be divided into two main parts. In the first one, we will introduce the latest mobile news with special focus on Xamarin. In the second part, the focus will be on the importance of Microsoft tools for cross-platform development. Finally, we will introduce some customer success cases in several industries like Banking and Media, including leaders and executives from some of the largest Portuguese companies. After the presentations, there is scheduled a 20-minute time for open discussion and networking. Enterprise mobility has been growing both in the end-customer side and in the enterprise market. By using technologies for mobile cross-platform development, companies can reduce time-to-market and optimise their investments in mobile projects. Xpand IT, a leader in enterprise mobility services and Microsoft Gold Partner, has received an ALM Partner award from Microsoft rewarding successful projects with Microsoft Azure and Xamarin. This event aims to share know-how with all the participants and find new collaboration projects. Used by over 700,000 developers, including more than 100 Fortune 500 companies, to accelerate the creation of mission-critical consumer and enterprise apps. Xpand IT is a Xamarin Premier Consulting Partner with experience in cross-platform apps development, using .Net ensuring native performance & user experience and harnessing the power of Microsoft ALM tools. Founded in 1975, Microsoft is the worldwide leader in software, services, devices and solutions that help people and businesses realise their full potential. Xpand IT is a Microsoft Gold Certified Partner on Application Development and has several success stories in building solutions leveraging best-of-breed Microsoft technologies focused on solving our customers’ needs.